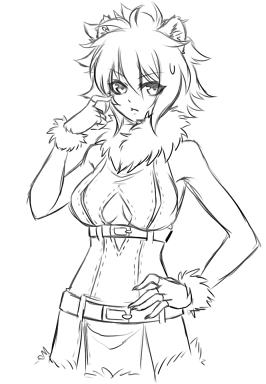 A polar bear girl now! Can't say I've seen many of those, but she looks pretty good. I'd play some games with her! She'd probably win but you know, whatever. 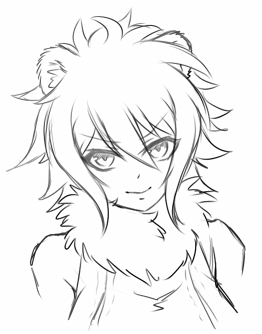 Yeah, bear girls in general are rare. At least I know of none so far. Have you decided what order each character is going have a stretch goal? Say after the goal another $100 would give us Esmodas, then Chiira, then etc. The list isn't final yet, I'm still thinking about which characters to place in which order. I'm even considering where to put Shiwa on that list. Probably the list will be final shortly before we get to Offbeatr. And I can't say anything about the "cost" of each stretchgoal either. Once we're done with Ferania, we know how long we need for each character. And yes, she's getting better every day.